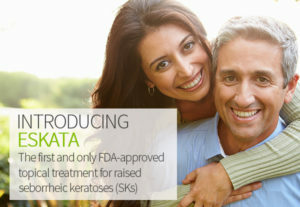 You didn’t choose to get raised SKs—but you can choose to treat them If you have raised seborrheic keratoses (SKs), talk to your dermatologist today—because ESKATA, the first and only FDA-approved topical treatment for raised SKs, is finally here. 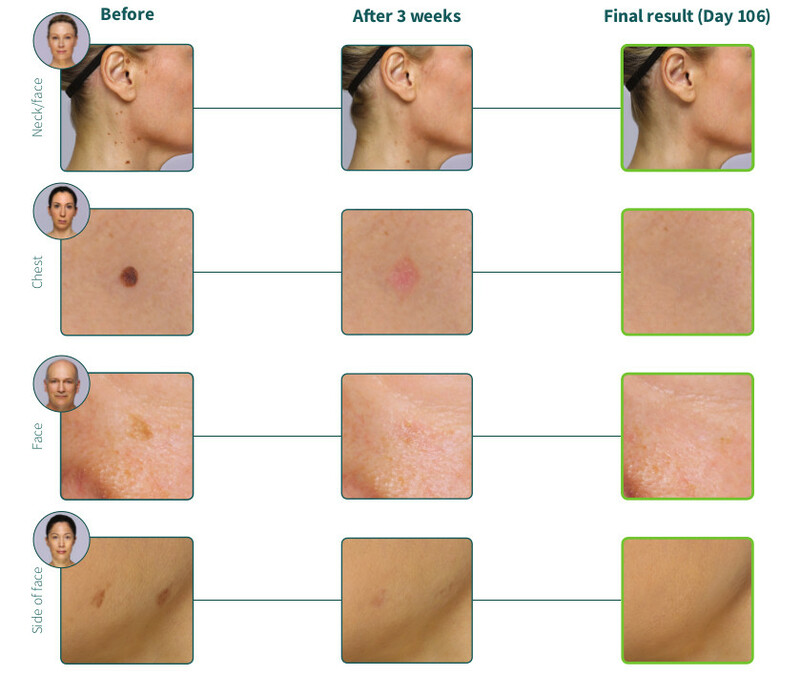 We will evaluate your results approximately 3 weeks after treatment with ESKATA. If your treated raised SKs are not clear, we may apply ESKATA once more, as long as the treatment area is not irritated. In clinical studies, results were evaluated at Day 106 after initial treatment.